Peter pan collars can look a little childish, but when you dress them up with tartan trousers or a metallic skirt you can make them look more put together. 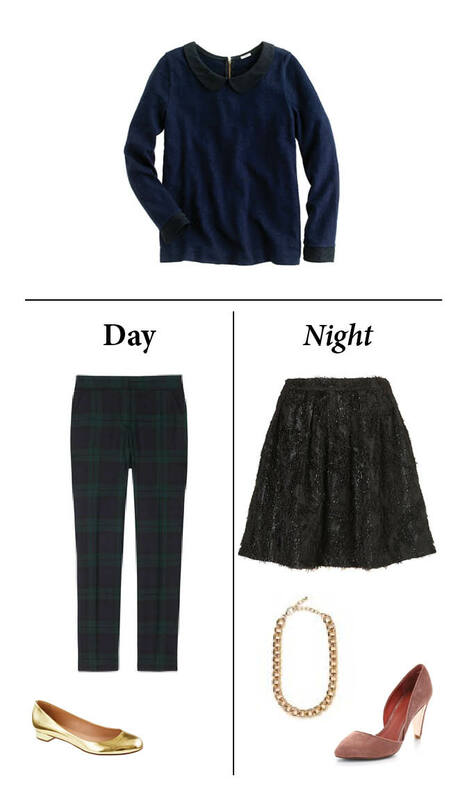 Both looks are monochromatic, which work well for fall, especially in dark hues. Put on a black coat if there is a nip in the air, and you are ready to go.